They all reached the top!! 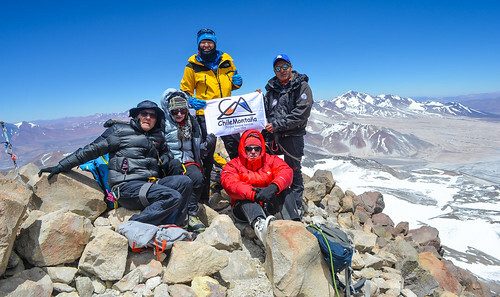 Five guest and three guides, all part of our ChileMontaña – Ojos del Salado Expedition December 2016 – January 2017, successfully summited the highest volcano of our planet. They arrived to the top at 12 am, on Tuesday 3 January 2017, with extremely favourable weather conditions and almost no wind. Then few days later the group was celebrating the summit with a pleasant resting day by the Pacific Ocean, in Pan de Azucar National Park.